The recent ADA lawsuit scare has had some landlords behaving strangely. One of our clients a few months ago was sued by her landlord for not making ADA upgrades. This is a troubling turn of events. It’s in the ADA that one’s responsibility cannot be passed onto another. The way the chips fell in this case was that the landlord had his tenant sign an updated lease otherwise he would not renew the contract with her. There was a clause in this contract which stated that she was to perform all necessary ADA upgrades to become ADA compliant within 45 days of signing the lease. She obviously did not know what this meant. She signed the lease, and was later sued by her landlord for failing to enlarge the restroom. In this situation, we do not have a complaint stemming from a violation of the ADA — we have a complaint stemming from a breach of contract. How everything stands from here depends on what can be reasonably understood by both parties as being their responsibility within the ADA — and if when signing she understood what ADA upgrades entailed. Nonetheless, tenants should more than ever educate themselves about what ADA compliance means, and in all cases at least 1) get an estimate for the work and 2) inform their landlord of the issues with a report of their shared liability. Landlords are legally required to comply with the ADA as well — but this tactic does provide an interesting twist. We’ll have to see if he is successful at forcing his tenant to pay for all the upgrades. Thoughts? Comment below, or write us at help@accesssolutionllc.com. If you have specific questions about your own fiduciary responsibilities, you can call us at 866 982 3212. ADA Safe Harbor is over in 2 weeks. Just a reminder, as of March 15, 2012 safe harbor is over. All facilities not in full compliance with the ADA of 1992 need to comply with the ADA of 2010. All facilities which have amenities not covered in the ADA of 1992, such as pools, need to comply with the ADA 2010. If your commercial property has a pool, it needs to have a lift in place for the public during the ours of operation. It can be removed during hours of non-operation, but otherwise it needs to be in place. Lifts cannot be shared between pools. Also, expenses such as insurance cannot be added to determine hardship cost. These are just a few of the items hotels and resorts with pools need to consider. If you have any questions do not hesitate to contact us at 866 982 3212 or email us at help@accesssolutionllc.com. Or you can also use our new contact form. Send us a message. Through Overlawyered.com comes this article from the California Civil Justice Blog. Cities can worry a little bit less about unexpected litigation costs in their already-strained budgets after a federal court ruling at the end of March ended a 14-year dispute over street curbs and sidewalks in Riverside, CA. A Riverside man named John Lonberg, who uses a wheelchair, first sued the city in 1997 claiming its curbs were sloped too high and lacked dividers to allow disabled access. In the latest ruling, U.S. District Judge R. Gary Klausner ruled Lonberg had failed to demonstrate that Riverside as a whole is inaccessible to the disabled. A ruling in favor of Lonberg could have meant millions of dollars in liability for mandatory modifications. Read more on the details of the case in the Riverside Press-Enterprise and Daily Journal (subscription required). Note the millions Riverside has spent over the past ten years to resolve the vast majority of its handicapped access issues, and the $221,000 Lonberg received in 2007. The basic takeaway here, is that Riverside saved by this last judgement. By needing to prove that an entire city is not accessible, cities may be saved from an “avalanche of lawsuits”. Nonetheless, entities in charge of public right of way should be aware that the ADA applies to them as Federal Civil Rights Law — requiring them to update their sidewalks even if their sidewalks preexist the ADA [New Jersey Protection and Advocacy, Inc. v. Township of Riverside, 2006 WL 2226332 (D.N.J.))]. This issue will be compounded in the near future when the access board, which is quasi-Federal agency to determine accessibility standards, is working on a Public Right of Way Accessibility Guidelines. Once this becomes law, you can be sure there will be a ton of lawsuits to follow as these guidelines explicitly apply to municipalities. And of course, it’s been proven over and over that businesses are liable since the ADA has requirements that businesses must follow. As the economy gets worse, more and more people will be tempted by this on-going series of ADA lawsuits… so the avalanche for more businesses to get sued is bound to rise even more. So GET COMPLIANT, either from us or from someone else. Contact us for questions at 866 982 3212 or email us at help@accesssolutionllc.com. Much of the access tips available here: Accessible Accommodation Tips underscore the current fear that business owners have about their buildings not being ADA compliant. ADA compliance goes far beyond walking through a building with a yardstick or a slope meter. But even our lawmakers do not understand what’s at stake here. If you’ve read this blog you should understand by now that the best way to avoid an ADA lawsuit is to become compliant. Covered by the Maryland Reporter is an ongoing debate in the Maryland State Senate to provide an option for people who feel they have been discriminated against to be able to go to the Maryland Commission to seek injunctive relief rather than suing the place of business. The state bill would be the first of its kind, if passed, but it would not remove the option for people to sue businesses under the ADA. What’s the point? Well, what’s interesting about this bill is that it assumes that the problems of the many ADA lawsuits stem from the lack of alternative channels for the disabled to complain about the business (if the business itself is unwilling to listen) without suing. Of course, if the individuals suing are asking for money instead of injunctive relief, this bill won’t deter them. But as an option it sounds good, except as the bulk of the article suggests by past individuals who fought against civil rights, more legislation isn’t really the key. The root of the many ADA lawsuits don’t stem from a lack of alternate complaint — it’s the lack of compliance with the laws. Several senators talked about lawsuits they knew about where disabled people and crafty attorneys tried to shut down or squeeze money out of establishments. Sen. David Brinkley, R – Frederick County, talked about county restaurants that had shut down because of onerous costs inflicted through lawsuits. Sen. Allan Kittleman, R-Howard County, said that the lawsuits brought by people with disabilities are a serious issue, referencing a news article a few years old that detailed some of them filed in Maryland. He added that the concerns about discrimination – like the kind Kelley described – are real, even in this day and age. However, he said, anything that’s more onerous for businesses to deal with could be problematic. “We all want access, but the concern some of us have is the greed for riches,” Kittleman said. Several senators said that a study couldn’t do much to stop the kinds of lawsuits that were described by their colleagues. Laws are already on the books to try to stop frivolous lawsuits, they argued. 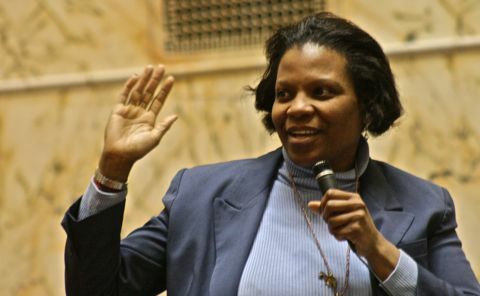 Bill sponsor Sen. Lisa Gladden, D-Baltimore City, said the legislation just allows people who feel they were discriminated against to file complaints about it in the local courts closer to home. “This bill is not new. It’s like moving the car from the driveway to the garage. You don’t change the car, and you don’t move houses,” Gladden said. Peters’ amendment was rejected with a vote of 18-26. Sen. Thomas “Mac” Middleton, D-Charles County, recalled that provisions to specifically give protections from false claims were included in a Medicaid bill a couple years ago. He proposed inserting an amendment to do the same thing to protect small businesses from lawsuits filed by disabled people and their lawyers. The bill will be considered further on Friday. The issue is that there just isn’t much ADA compliance in the public, period. So what is the Point about ADA Compliance? Otherwise you’re reading this column about awareness. And there’s much to be aware of and comply with. The POINT of ADA COMPLIANCE is to provide equal access. What’s on this blog is just the tip of the proverbial ice berg. I do intend to keep posting more detailed information. But to get started, we need some background. For instance, suing places for their lack of physical ADA compliance is just a tip of the issue. I’m not going to list all of the possible issues right now, but as a business becomes physically compliant, they still need to audit their own services in other to understand how they are not compliant in other ways. For example, Senate Bill 3304 was passed last year in 2010. You can take a look at the details here: Senate Bill 3304. This bill highlights the need for communication to be provided for people with disabilities. In other words, if you communicate anything to the public you’re probably assuming that they fit a certain mold, of being a certain age, speaking or reading a certain level of English comprehension… and are not either hearing or sight impaired. Well, that’s changed. Senate Bill 3304 is otherwise called 21st Century Communications and Video Accessibility Act, “COAT” has a long list of areas that need to be both closed captioned or available on hearing-impaired or seeing-impaired devices. I have quoted the entire list of the different sections for you below. Section 105: Relay Services for Deaf-Blind Individuals. After 6 years, requires the FCC to apply the video description requirements to the top 60 most populated markets (not just the top 25 most populated markets). After 9 years, requires the FCC to report to Congress on the need for additional markets to carry video description. After 10 years, permits the FCC to expand video description to 10 new markets annually to achieve 100 percent nationwide coverage. Requires the FCC to grant or deny requests for exemption from the closed captioning rules within 12 months. In looking ahead, you can see that the future requirements are going to catch many many many businesses off guard. It might be a few years before those businesses themselves get sued. And then the need and demand for these communication devices, (be it mobile hearing aids, readers, screens, and so on) will go up. Although right now many businesses probably don’t care, thinking such a cost extraneous. You can see this original page here: COAT page on S. 3304. Their page is a great resource on what some of these devices will be. Some of the issues about disabled communication have already caught on. I link two of them below. So you’d think large companies with their “Chief Compliance Officers” and their vast resources would be able to catch on and anticipate their customers’ needs and avoid lawsuits by now. The point is that this airport offered ticket kiosks to their customers as a service so that their customers could get their tickets self-check in and be on their way quicker. By not upgrading the software on the kiosks so as to include some kind of voice-communication, they were denying this service to the blind. In the article, upgrading the kiosks could be somewhere between 2k- 30k each. As an airport, their income is well into the millions, so this represents only a fraction of their budget. You can be sure you’ll need to do that now, otherwise it could (and will) happen again. Most business owners hearing this would probably think this is a ridiculous issue. But if you read the article, you’ll see that this football field had been previously sued for not including closed captioning on their screens back in 2003. Their protest was that closed captioning “would take up too much room on the screen” — which of course betrays their insensitivity and bias against those who do need it, lest they know not what’s going on. So, seven years later and having installed the necessary equipment, you’d think the field would have learned their lesson. What’s interesting about this case is that both sides are claiming that they are willing to cooperate but the other side was being difficult. I quote the end of the article below so you can decide for yourself. The court also agreed that song lyrics were an important part of the football experience, even though the plaintiffs had waited to raise that argument until filing summary judgment papers. Washington Redskins General Counsel Dave Donovan said that his clients and the stadium owners already were complying with the decision. He said that they were providing, through e-mails, typed lyrics to songs performed by the cheerleaders. “Truth be told, this has only been about attorney’s fees. For years the plaintiffs’ firms managed to keep it alive,” Donovan said. Joseph Espo, who represented the plaintiffs, said that his clients had tried to settle the case many times and that the attorney fees, which were in the “low six figures,” were a result of the defendants’ unwillingess to settle. Contact Leigh Jones at ljones@alm.com. Both articles underscores the need for places of public accommodation to understand their role in providing a consistency of availability to each and every of their customers to the best of their ability. If you expect to take people’s money and provide them with an experience, a good or a service, you must best do your best to provide everyone equal access. At this point, you should begin to understand what ‘accessiblity’ means. This is a far cry from the standard ‘I can fit a wheelchair through my door therefore I am ADA compliant’. ADA Compliance means that you’ve taken the time and effort to consider and provide equal access to each customer who comes through your door. ADA Compliance means taking the time and money to hire ADA Experts and implemented the changes they’ve recommended, not just in terms of your physical site, but also how you do business and communicate with your customers. You can start by checking out the California Relay Service so you can at least talk to customers on the phone whom you may have trouble understanding. It’s a free service by the state of California available to have a communication assistant coordinate from text to speech, speech to speech, speech to text, and so on. Please take a look, and train your receptionist on it too! For additional questions and comments, you can email me at help@accesssolutionllc.com or call 866 982 3212. The US Equal Employment Opportunity Commission has published a Q&A on what a Disability is. This addresses the 2008 Amendment of the ADA that President Obama signed into law on the celebration of 20 years of the ADA. Disabilities is of interest to us because under the ADA, individuals with disabilities need to be accommodated. How that happens at the physical site is what we as ADA consultants help businesses with. Yet once in a while we get a question from the audience at a seminar or in email as to ‘what is a disability’ – so I decided to post a resource here for you all. This definition comes from the Federal Government and it applies mostly to Title 1 of the ADA which has to do with employment, but it does affect which members of the public fall under the ADA requirements for accommodation. For employment issues, please consult an expert on HR issues (which we are not). California does have their own standards which are much less strict but the online resource for this is fairly poor. I have linked it here: http://www.dir.ca.gov/dlse/ada/ada_faq.html and here: http://www.disabilityaccessinfo.ca.gov/lawsregs.htm. Some of this repeats what we’ve linked elsewhere, but like I said, California doesn’t have a page like this one from EEOC. The ADA Accommodation interpretation from the Federal Government is quoted below. The ADA Amendments Act of 2008 (ADAAA) was enacted on September 25, 2008, and became effective on January 1, 2009. This law made a number of significant changes to the definition of “disability.” It also directed the U.S. Equal Employment Opportunity Commission (EEOC) to amend its ADA regulations to reflect the changes made by the ADAAA. The final regulations were published in the Federal Register on March 25, 2011. The EEOC is making changes to both the Title I ADA regulations and to the Interpretive Guidance (also known as the Appendix) that was published with the original ADA regulations. The Appendix provides further explanation on how the regulations should be interpreted. The questions and answers below provide information on the changes made to the regulations as a result of the ADAAA and identify certain regulations that remain the same. The answers below also note where the final regulations differ from what appeared in the Notice of Proposed Rulemaking (NPRM) that was published September 23, 2009. Finally, answers to certain questions provide citations to specific sections of the final regulations and the corresponding section of the Appendix (29 C.F.R. section 1630). 1. Does the ADAAA apply to discriminatory acts that occurred prior to January 1, 2009? No. The ADAAA does not apply retroactively. For example, the ADAAA would not apply to a situation in which an employer, union, or employment agency allegedly failed to hire, terminated, or denied a reasonable accommodation to someone with a disability in December 2008, even if the person did not file a charge with the EEOC until after January 1, 2009. The original ADA definition of disability would be applied to such a charge. However, the ADAAA would apply to denials of reasonable accommodation where a request was made (or an earlier request was renewed) or to other alleged discriminatory acts that occurred on or after January 1, 2009. 2. What is the purpose of the ADAAA? Among the purposes of the ADAAA is the reinstatement of a “broad scope of protection” by expanding the definition of the term “disability.” Congress found that persons with many types of impairments – including epilepsy, diabetes, multiple sclerosis, major depression, and bipolar disorder – had been unable to bring ADA claims because they were found not to meet the ADA’s definition of “disability.” Yet, Congress thought that individuals with these and other impairments should be covered. The ADAAA explicitly rejected certain Supreme Court interpretations of the term “disability” and a portion of the EEOC regulations that it found had inappropriately narrowed the definition of disability. As a result of the ADAAA and EEOC’s final regulations, it will be much easier for individuals seeking the law’s protection to demonstrate that they meet the definition of “disability.” As a result, many more ADA claims will focus on the merits of the case. 3. Do all of the changes in the ADAAA apply to other titles of the ADA and provisions of the Rehabilitation Act prohibiting disability discrimination by federal agencies, federal contractors, and recipients of federal financial assistance? section 504 of the Rehabilitation Act (recipients of federal financial assistance and services and programs of federal agencies). The changes to the definition of disability also apply to all of the ADA’s titles, including Title II (programs and activities of State and local government entities) and Title III (private entities that are considered places of public accommodation). A few provisions of the ADAAA affect only the portions of the ADA and the Rehabilitation Act concerning employment, such as a provision that requires covered entities to show that qualification standards that screen out individuals based on uncorrected vision are job-related and consistent with business necessity, and changes to the general prohibition of discrimination in § 102 of the ADA. The EEOC’s final regulations apply to Title I of the ADA and section 501 of the Rehabilitation Act, but they do not apply to Titles II and III of the ADA, or sections 503 and 504 of the Rehabilitation Act. 4. Who is required to comply with these regulations? These regulations apply to all private and state and local government employers with 15 or more employees, employment agencies, labor organizations (unions), and joint labor-management committees. [Section 1630.2(b)] Additionally, section 501 of the Rehabilitation Act applies to federal executive branch agencies regardless of the number of employees they have. The use of the term “covered entity” in this Q&A and the Appendix refers to all such entities. 6. Must individuals use a particular prong of the definition of disability when challenging a covered entity’s actions? 7. How do the regulations define the term “physical or mental impairment”? The final regulations provide a non-exhaustive list of examples of major life activities: caring for oneself, performing manual tasks, seeing, hearing, eating, sleeping, walking, standing, sitting, reaching, lifting, bending, speaking, breathing, learning, reading, concentrating, thinking, communicating, interacting with others, and working. Most of these examples are taken from the ADAAA, which in turn adopted them from the original ADA regulations and EEOC guidances, or from ADA and Rehabilitation Act case law. The final regulations also state that major life activities include the operation of major bodily functions, including functions of the immune system, special sense organs and skin, normal cell growth, digestive, genitourinary, bowel, bladder, neurological, brain, respiratory, circulatory, cardiovascular, endocrine, hemic, lymphatic, musculoskeletal, and reproductive functions. Although not specifically stated in the NPRM, the final regulations state that major bodily functions include the operation of an individual organ within a body system ( e.g., the operation of the kidney, liver, or pancreas). 9. When does an impairment “substantially limit” a major life activity? An impairment need not prevent or severely or significantly limit a major life activity to be considered “substantially limiting.” Nonetheless, not every impairment will constitute a disability. The term “substantially limits” should be construed broadly in favor of expansive coverage to the maximum extent permitted by the terms of the ADA. In keeping with Congress’ direction that the primary focus of the ADA is on whether discrimination occurred, the determination of disability should not require extensive analysis. Although determination of whether an impairment substantially limits a major life activity as compared to most people will not usually require scientific, medical, or statistical evidence, such evidence may be used if appropriate. 10. Do the final regulations require that an impairment last a particular length of time to be considered substantially limiting? 11. Can impairments that are episodic or in remission be considered disabilities? 12. What are mitigating measures? 13. May the positive effects of mitigating measures in limiting the impact of an impairment on performance of a major life activity be considered when determining whether someone has a disability? 14. Does the rule concerning mitigating measures apply to people whose vision is corrected with ordinary eyeglasses or contact lenses? 16. May the positive or negative effects of mitigating measures be considered when assessing whether someone is entitled to reasonable accommodation or poses a direct threat? Yes. The ADAAA’s prohibition on assessing the positive effects of mitigating measures applies only to the determination of whether an individual meets the definition of “disability.” All other determinations – including the need for a reasonable accommodation and whether an individual poses a direct threat – can take into account both the positive and negative effects of a mitigating measure. The negative effects of mitigating measures may include side effects or burdens that using a mitigating measure might impose. For example, someone with diabetes may need breaks to take insulin and monitor blood sugar levels, and someone with kidney disease may need a modified work schedule to receive dialysis treatments. On the other hand, if an individual with a disability uses a mitigating measure that results in no negative effects and eliminates the need for a reasonable accommodation, a covered entity will have no obligation to provide one. 17. Can a covered entity require that an individual use a mitigating measure? 18. After an individualized assessment is done, are there certain impairments that will virtually always be found to result in substantial limitation in performing certain major life activities? Yes. Certain impairments, due to their inherent nature and the extensive changes Congress made to the definitions of “major life activities” and “substantially limits,” will virtually always be disabilities. (See Questions 8-11 and 13.) For these impairments, the individualized assessment should be particularly simple and straightforward. 19. Do the regulations give any examples of specific impairments that will be easily concluded to substantially limit a major life activity? 20. May the condition, manner, or duration under which a major life activity can be performed be considered in determining whether an impairment is a disability? Yes. The Commission did not include the concepts of “condition, manner, or duration” (used in the original ADA regulations published in 1991) in the NPRM, believing that use of the terms might lead to the kind of excessive focus on the definition of “disability” that Congress sought to avoid. In response to comments on behalf of both employers and individuals with disabilities, however, we have included the concepts of condition, manner, or duration (where duration refers to the length of time it takes to perform a major life activity or the amount of time the activity can be performed) in the final regulations as facts that may be considered if relevant. But, with respect to many impairments, including those that should easily be concluded to be disabilities (see Question 19), it may be unnecessary to use these concepts to determine whether the impairment substantially limits a major life activity. 21. When is someone substantially limited in the major life activity of working? The final regulations, unlike the NPRM, do not mention the major life activity of working other than by its inclusion in the list of major life activities (see Question 8). However, the Appendix discusses how to determine substantial limitation in a number of major life activities, including working. The Appendix discussion of working, unlike the NPRM, states that substantial limitation in this major life activity will be made with reference to difficulty performing either a “class or broad range of jobs in various classes” rather than a “type of work.” The Appendix also notes that a “class” of work may be determined by reference to the nature of the work ( e.g., commercial truck driving or assembly line jobs), or by reference to job-related requirements that an individual is limited in meeting ( e.g., jobs requiring extensive walking, prolonged standing, and repetitive or heavy lifting). Demonstrating a substantial limitation in performing the unique aspects of a single specific job is not sufficient to establish that a person is substantially limited in the major life activity of working. 22. Does the ADA still exclude from coverage a person who is illegally using drugs? 23. Is pregnancy a disability under the ADAAA? 24. When does an individual have a “record of” a disability? 25. What does it mean for a covered entity to “regard” an individual as having a disability? 26. If a covered entity regards an individual as having a disability, does that automatically mean the covered entity has discriminated against the individual? 27. Does an individual have to establish coverage under a particular definition of disability to be eligible for a reasonable accommodation? 28. What do the final regulations say about qualification standards based on uncorrected vision? 29. Does the ADAAA change the definitions of “qualified,” “direct threat,” “reasonable accommodation,” and “undue hardship,” or does it change who has the burden of proof in demonstrating any of these requirements? No. Nearly all of the ADAAA’s changes only affect the definition of “disability.” None of the key ADA terms listed in this Question, or the burdens of proof applicable to each one, have changed. The only provision in the ADAAA affecting the reasonable accommodation obligation is that a covered entity does not have to provide one to an individual who only meets the “regarded as” definition of disability. 30. Why do the regulations no longer refer to a “qualified individual with a disability”? 31. Do any of the ADAAA’s changes affect workers’ compensation laws or Federal and State disability benefit programs? 32. 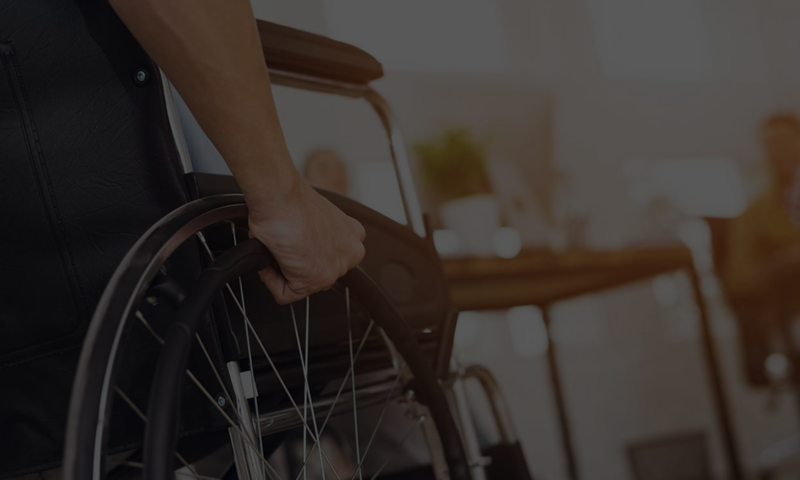 May a non-disabled individual bring an ADA claim of discrimination for being denied an employment opportunity or a reasonable accommodation because of lack of a disability? 33. Will the EEOC be updating all of the ADA-related publications on its website to be consistent with the final ADAAA regulations? Yes. When EEOC updates a particular document, we will note this on our website and explain what changes were made to the document. To avoid misunderstanding, all of these documents currently contain notices about the ADAAA indicating that some of the material in the documents may no longer reflect the law. It should be noted that because the ADAAA focused almost exclusively on changing the definition of “disability,” content in these documents unrelated to the definition of “disability” – including the meaning of qualified, essential functions, reasonable accommodation, and direct threat – remains unaffected by the ADAAA and the final regulations. Therefore, individuals can continue to rely on these parts of the documents as reflecting current law. Further contact information for the EEOC can be obtained below. For more information about reasonable accommodations, contact the Job Accommodation Network. JAN provides free, expert, and confidential guidance on workplace accommodations. If you have questions for us on ADA compliance, email me at help@accesssolutionllc.com or call 866 982 3212. The majority of lawsuits arising from ADA violations are aimed at smaller businesses. Many of those lawsuits hurt businesses as the steep cost of defending those lawsuits for violations (which most likely are, strictly speaking, in fact violations) prompt potentially large settlements. These settlements are usually at least $4,000.00 + attorneys fees. Well, now there’s a new bill aimed at helping those small businesses. This bills hopes to deter serial litigants from threatening small businesses for items which are readily achievable. Will this bill pass? It’s labled H.R. 881. March 7, 2011 (San Diego’s East County) — Congressman Duncan Hunter (R-El Cajon) recently introduced legislation aimed at curtailing what he views as frivolous lawsuits against small businesses that are allegedly in violation of the Americans with Disabilities Act (ADA). The bill, entitled the ADA Notification Act, would provide businesses accused of an ADA violation with a 90-day grace period to make necessary modifications. Our thoughts on this proposed legislation is that yes, businesses should become compliant, they should at least fix the items which are readily achievable (which is a classification of items relatively inexpensive to fix — and also the class of ADA violations which are in fact the most sued over) and yes, businesses should absolutely understand what laws effect their bottom line. But rather than introducing more government oversight and legislation, the key to compliance should be EDUCATION not legislation. Will this 90 day grace period prompt a business to fix the items in question properly? Will a 90 day grace period be long enough for a business to find, qualify and hire a contractor to properly install items like grab bars, signage, restroom amenities and parking striping? The area of law surrounding the ADA have multiple requirements. It’s possible that hiring any contractor will not only the business MORE LIABLE but also leave the contractor liable as well. That would be a disastrous waste of resources and funds! Yes, it’s as I’ve been writing all along. Education and then proper action towards ADA COMPLIANCE is the only way to avoid lawsuits. If you have any questions about the particulars of YOUR ADA COMPLIANCE best email us at help@accesssolutionllc.com or call 866 982 3212. Read from East County via Overlawyered.Com and CJAC. WASHINGTON – Revised regulations implementing the Americans with Disabilities Act (ADA) will take effect tomorrow, March 15, 2011, the Department of Justice announced. The revised rules are the department’s first major revision of its guidance on accessibility in 20 years. The regulations apply to the activities of more than 80,000 units of state and local government and more than seven million places of public accommodation, including stores, restaurants, shopping malls, libraries, museums, sporting arenas, movie theaters, doctors’ and dentists’ offices, hotels, jails and prisons, polling places, and emergency preparedness shelters. The rules were signed by Attorney General Eric Holder on July 23, 2010, and the official text was published in the Federal Register on September 15, 2010. The department is also releasing a new document, “ADA Update: A Primer for Small Business,” to help small businesses understand the new and updated accessibility requirements. In addition, the department is announcing the release of a new publication explaining when the various provisions of its amended regulations will take effect. Both documents will be available tomorrow on the department’s ADA website, www.ada.gov . The new ADA rules adopt the 2010 ADA Standards for Accessible Design, which have been retooled to be more user-friendly for building code officials, builders, and architects, and have been harmonized with state and local accessibility codes. The 2010 standards also include, for the first time, standards on making swimming pools, parks, golf courses, boating facilities, exercise clubs, and other recreation facilities accessible for individuals with disabilities. Entities covered by the ADA have until March 15, 2012 to comply with the 2010 Standards. In addition to adopting the new ADA 2010 Standards, the amended regulations contain many new or expanded provisions on general nondiscrimination policies, including the use of service animals, the use of wheelchairs and other power-driven mobility devices, selling tickets for wheelchair-accessible seating at sports and performance venues, reserving and guaranteeing accessible rooms at hotels, providing interpreter services through video conferencing, and the effect of the new regulations on existing facilities. The compliance date for the all the new nondiscrimination provisions, except for those on hotel reservations, is March 15, 2011. Compliance with the hotel reservation provisions is not required until March 15, 2012. “ADA Update” and “ADA 2010 Revised Requirements: Effective Date/Compliance Date” are the first of several planned publications aimed at helping businesses, not-for-profit organizations, and state and local governments understand their obligations under the amended Title II and Title III regulations. Individual print copies of the Effective Date/Compliance Date publication can be ordered from the ADA Information Line (800-514-0301 voice or 800-514-0383 TTY). For more information about the ADA , call the Justice Department’s toll-free ADA Information Line at 800-514-0301 or 800-514-0383 (TTY), or access the department’s ADA website at www.ada.gov . This deadline basically means that the additional requirements for ADA compliance extend into areas that were previously unregulated. The DOJ intends to publish a small business guide tomorrow, so we will be posting that. Further information will be available as events unravel. We keep abreast of this stuff so you don’t have to!